Like many other cars the TRF419 has a lot of flex tuning possibilities. Usually these flex options involve you removing or adding a screw/s to change the way in which the flex behaves. These step screws give you a little more of a tuning range when attempting to tune the chassis flex. As you can see they are threaded with a std hex head. The step screw just has a narrow head at the top of the thread instead of the std screw head that normally holds things down. These screws are used by the team drivers to give a little more grip at the front and/or rear of the car. They are used as a replacement for the bottom two shock tower screws. You might ask why bother with these? just remove the screws, well simply removing screws could cause the tower to tweak on a collision. 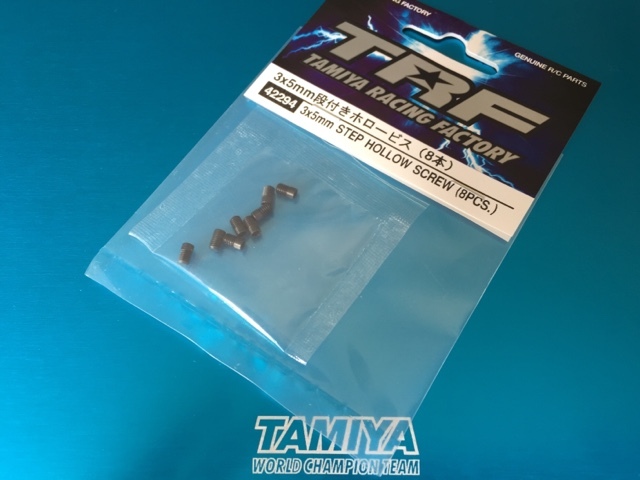 I took my car armed with the screws and fitted with the new Tamiya Stabilizer stoppers. Aluminium servo plates and the step screws. New Stabiliser stoppers, servo mount already fitted. 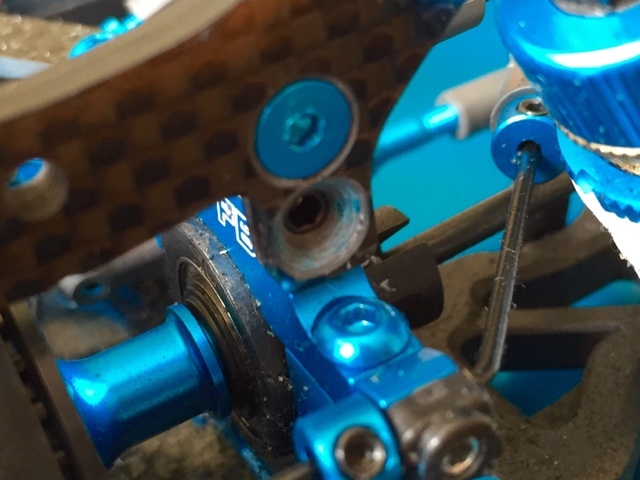 The track had a lot of tight corners so I dialled in more steering by simply replacing the bottom front shocktower screws. This felt good but I found that the rear then started to become a little too loose for my liking. 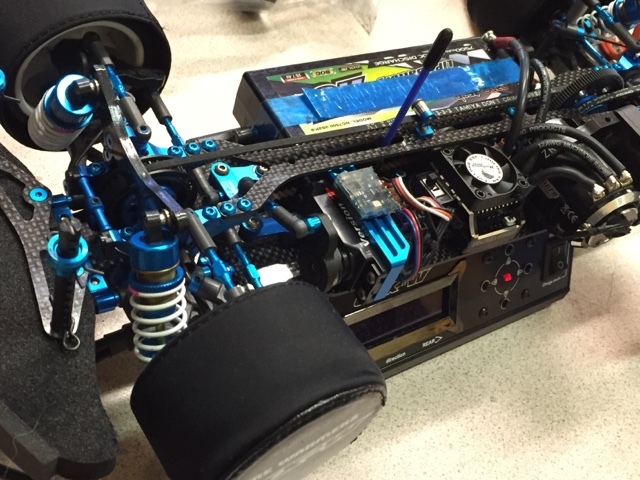 I took out the top screw for the next race, and the car felt good, but just a little too planted in the rear. So for the final race I placed a step screw in the top deck, to find a mid-point between the two options I had tried before. These are a cheap little accessory that are worth having to help you tune your car when needed. 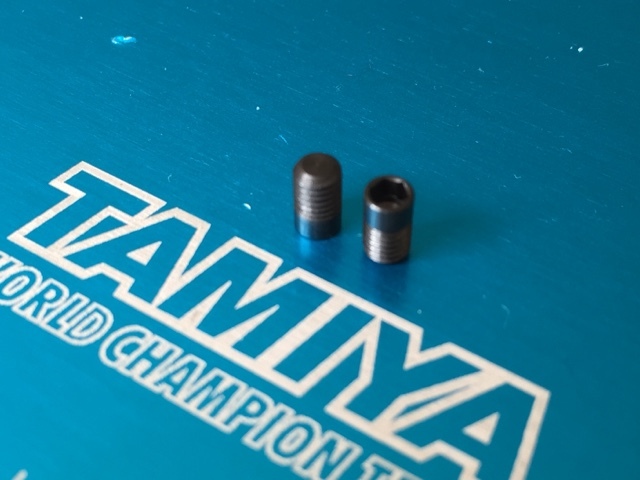 Racing is all about options and these little step screws are now already part of my 'go to' tuning parts for my TRF419. They are also useful for any other car where you want to have a finer control on the flex options that your car has. Dear Sir, you can also use them on the under chassis motor mount locators.